Is there a better alternative to Exhibeo? 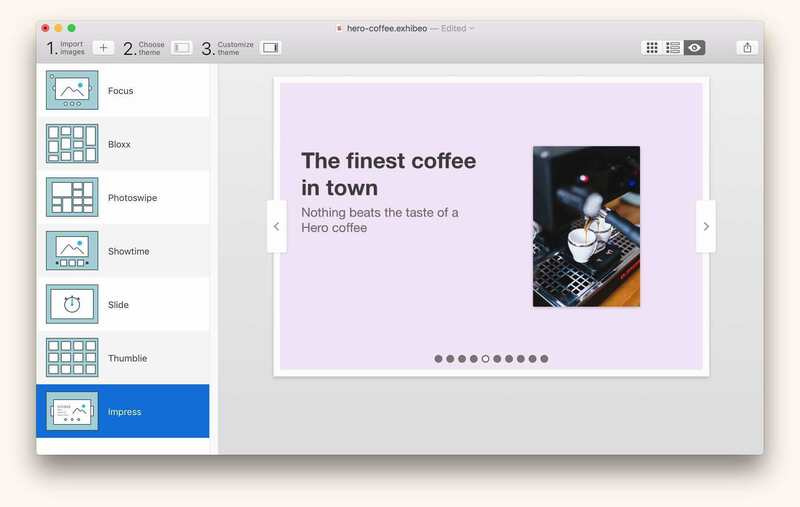 Is Exhibeo really the best app in HTML category? Will Exhibeo work good on macOS 10.13.4? 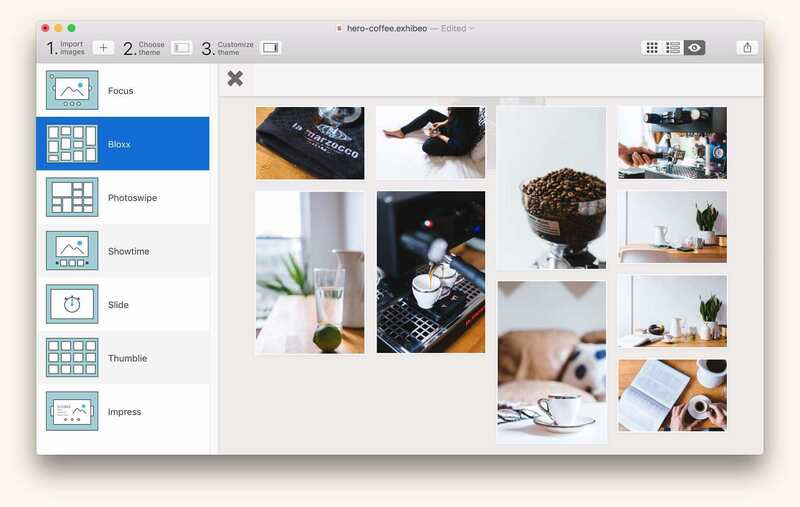 Exhibeo puts your images front and center, doing it with flair and style. Make your site stand out - and do it beautifully. With seven themes included, there’s a gallery for almost anything: displaying artwork, showcasing products, or keeping your group updated. We’ve added a brand new theme, Photoswipe, and updated our existing themes with new customization options, animations, and much more. We reworked our interface to make Exhibeo even easier to use: it’s cleaner, clearer, and crisper. 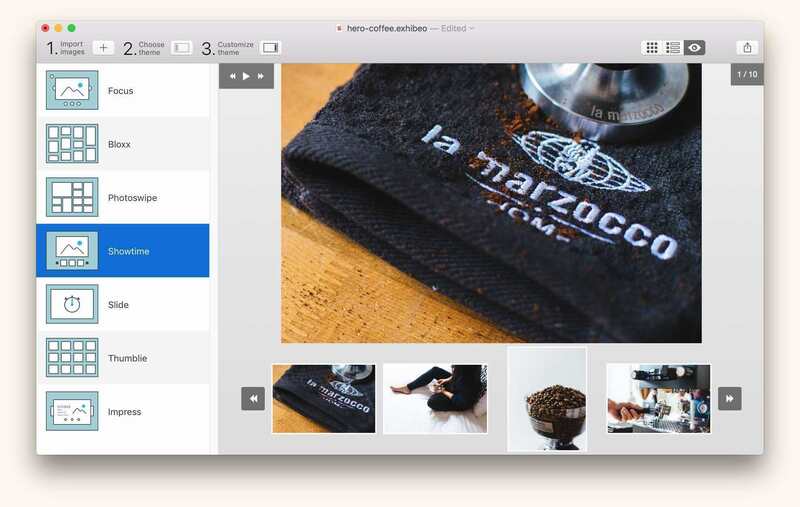 Simpler output, passthrough images, better image editing, archives, metadata import, metadata view, image replacement, and so much more.